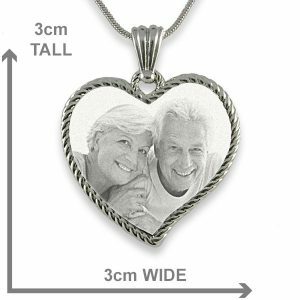 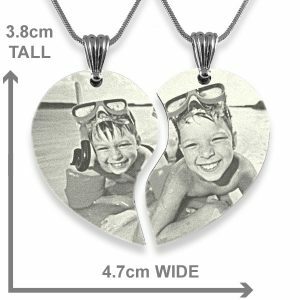 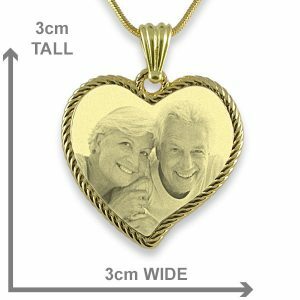 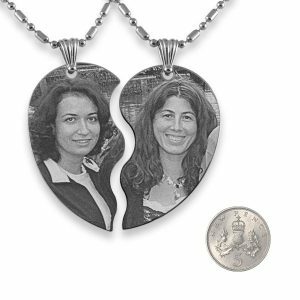 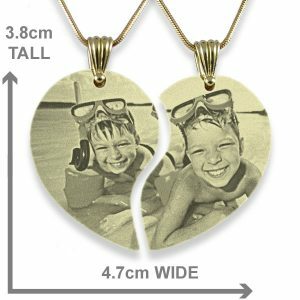 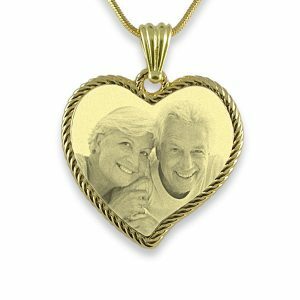 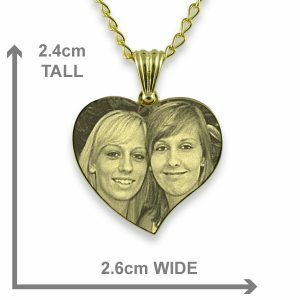 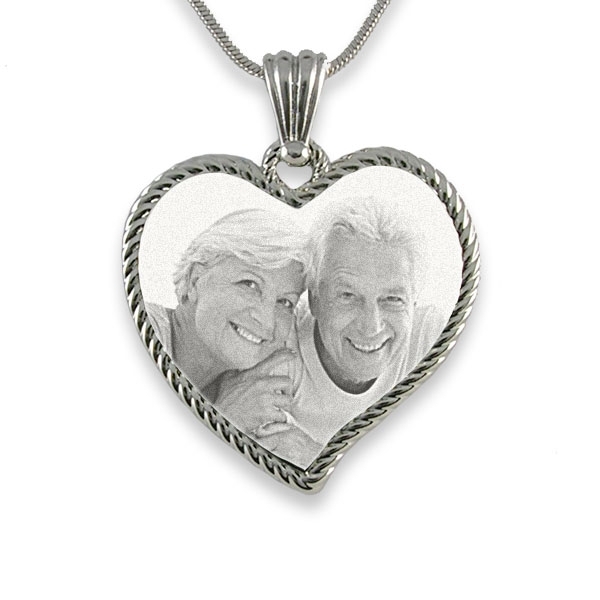 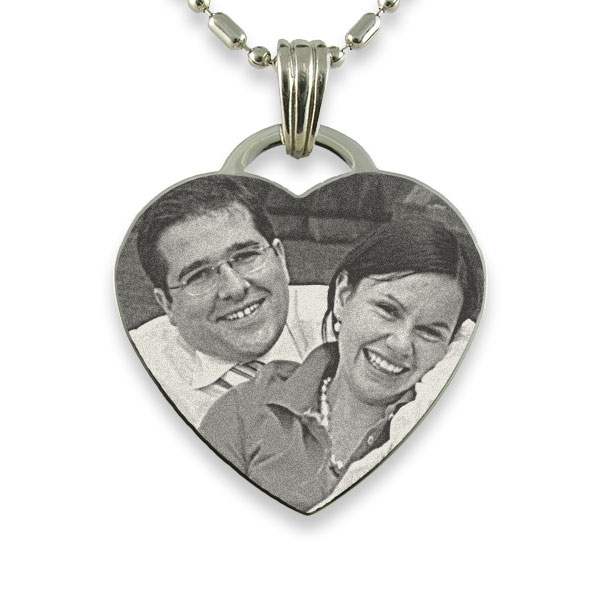 A heart shaped photo pendant is a very popular choice which suits a photo of a couple if they are posing with their heads leaning into each other. 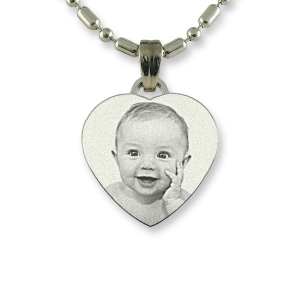 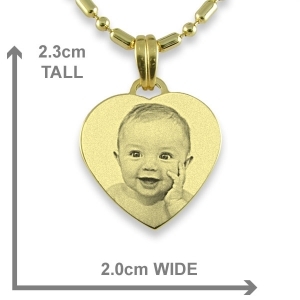 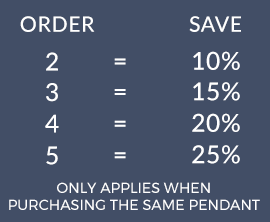 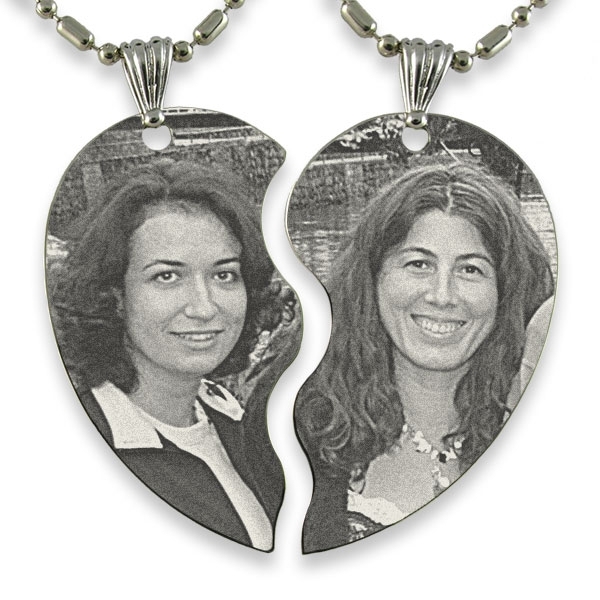 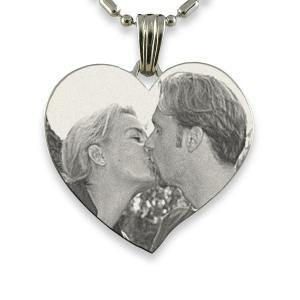 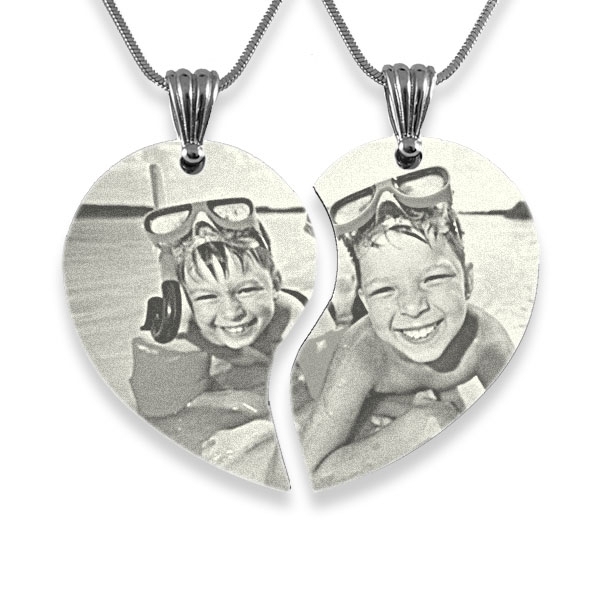 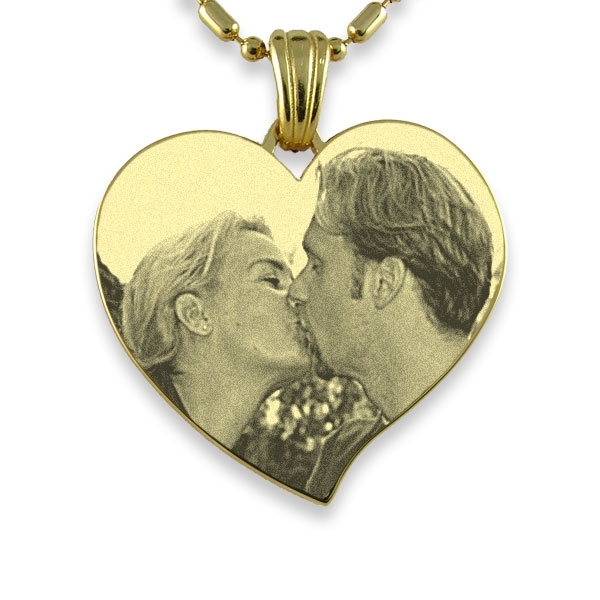 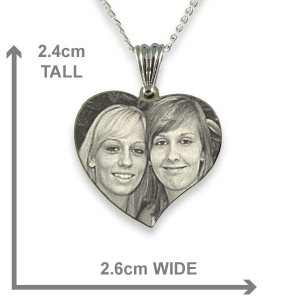 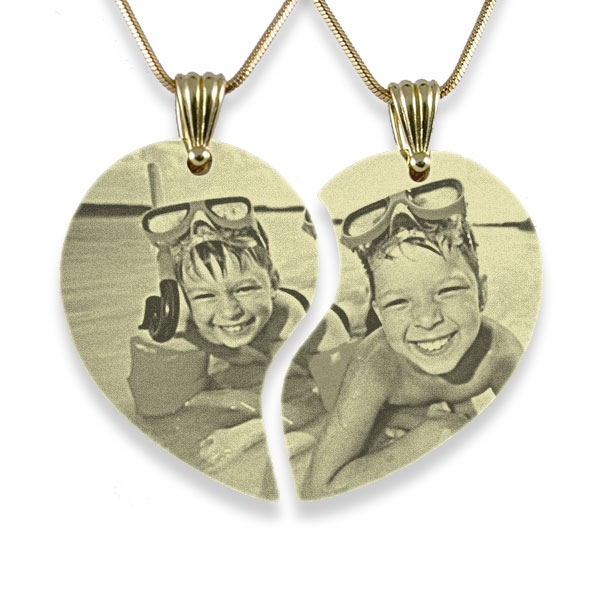 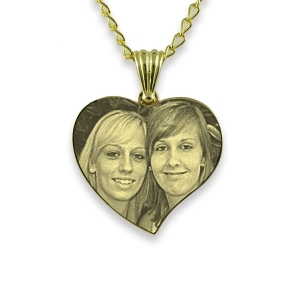 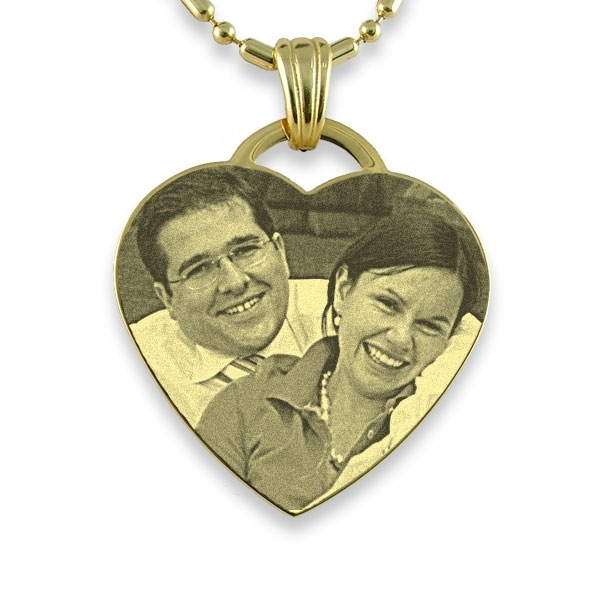 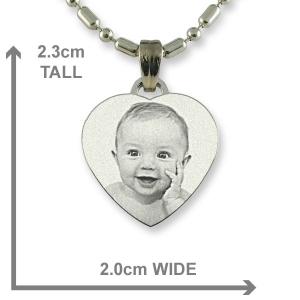 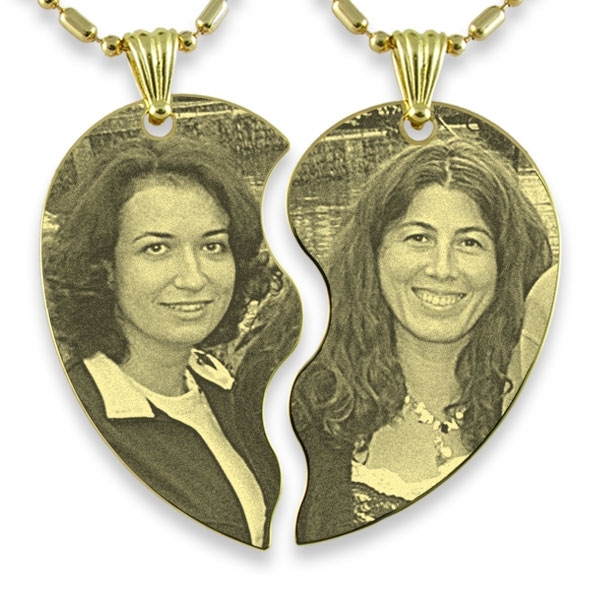 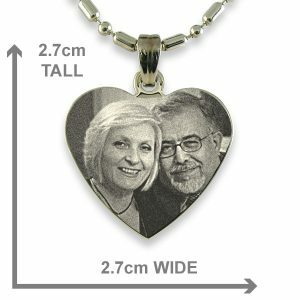 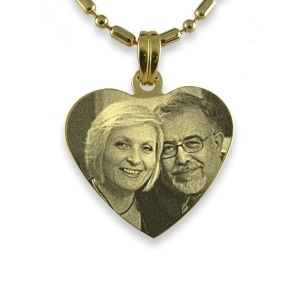 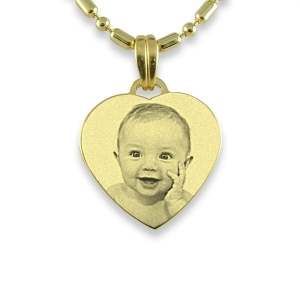 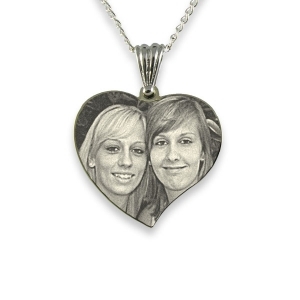 Alternatively you can choose to have one person’s face engraved on a heart shape photo pendant. 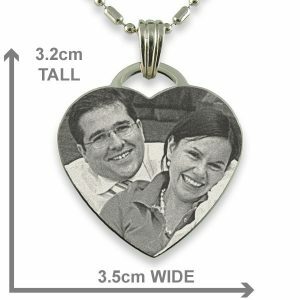 We recommend you make a preview to see how your photo suits this shape of photo pendant.